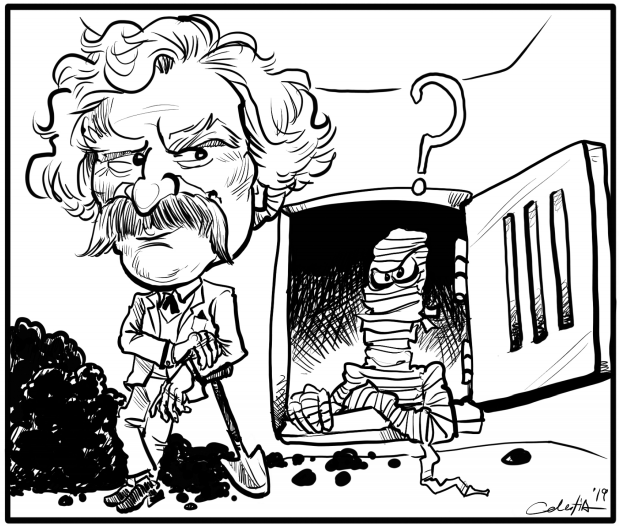 Q: Today I heard a speaker repeat the story that mummies were used as fuel in British trains. I recall this was a classic legend first related by Mark Twain in The Innocents Abroad, but the speaker insisted that she thoroughly researched the subject, and it was true. Got anything on this?